The IBA helped facilitate a visit by the New Mexico Finance Oversight Committee of the New Mexico Legislature to the Union Pacific Santa Teresa project, which is presently under construction. IBA Executive Director Jerry Pacheco provided an overview to the committee members of the impact of the Union Pacific project on the growth in southern New Mexico and its effects on local infrastructure. Committee members were provided an overview of the scope of the project and taken onsite to personally view the construction that has already taken place. 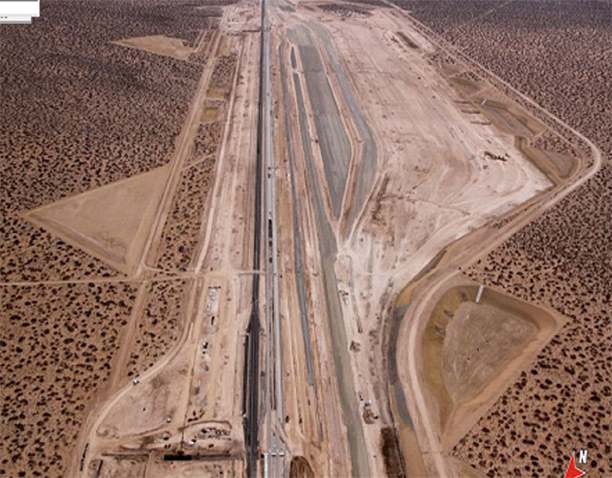 Aerial of Union Pacific Santa Teresa Project, February 2013.